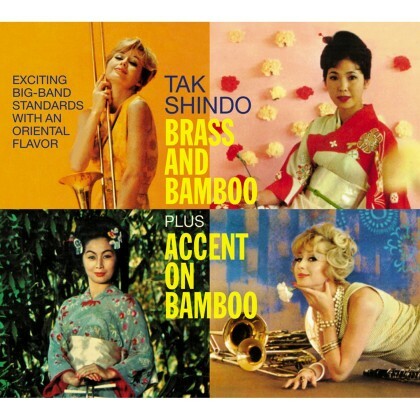 Not really Exotica, but Tak Shindo puts an Oriental flare onto popular songs of the day. These two albums were originally released in 1959 and 1960 and are sought after by collectors. The albums here have been lovingly remastered in 24 bit sparkling audio. Even though Shindo is not Exotica in the truest sense, these albums bridge the gap of traditional Exotica and popular music of the 60's.